President Donald Trump’s inaction on a long-term infrastructure plan has been detrimental to the country’s labor force, a key national union labor leader recently said on Fox News Sunday. “Unfortunately, to date, the things that he’s done to hurt workers outpace what he’s done to help workers. 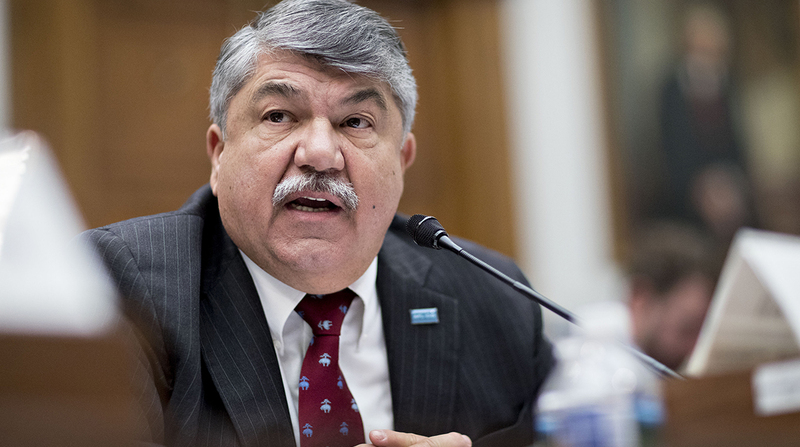 He hasn’t come up with an infrastructure program that could put a lot of us back to work,” AFL-CIO President Richard Trumka told host Chris Wallace on Sept. 2 when asked to assess President Donald Trump’s record. The AFL-CIO continues to urge the White House and Congress to legislate on a long-term infrastructure measure. Besides the AFL-CIO, dozens of other groups, such as the U.S. Chamber of Commerce, the American Society of Civil Engineers and the American Road and Transportation Builders Association, press policymakers on comprehensive infrastructure legislation they argue would lead to significant job creation. The groups also claim funding uncertainty for large-scale transportation projects hinders freight connectivity. Funding authorization for the federal Highway Trust Fund account, which is used to assist states with infrastructure projects, expires in less than three years. In February, the White House proposed a 10-year, $1.5 trillion infrastructure plan that would rely primarily on private sector backing. After transportation leaders on Capitol Hill opted not to immediately act on the proposal, the president indicated he would promote infrastructure matters after the November midterm elections.